Fire Warden training Widnes – Under UK HSE legislation fire warden or fire marshal training is required at places of work where staff members have been nominated as Fire Marshals or Fire Wardens. The training course we provide ensures that your Fire Wardens are acting competently and in accordance with good practices and any specific company procedures. The Fire Warden training course is also known as the Fire Marshal training course. Did you know we can come to your workplace to deliver the Fire Warden Training course! Fire Warden Training Widnes – Delivered directly in your workplace for 6-12 delegates for a group cost of only £425.00 +Vat. For guidance and information on fire safety in the workplace please visit the www.gov.uk/ website section on Fire Safety. As the responsible person you must carry out and regularly review a fire risk assessment of the premises. This Fire Marshal Course / Fire Warden Course also covers all relevant legislation so learners will have a thorough understanding of their duties and legal responsibilities. As a business owner, we understand you want to ensure fire safety risks are managed appropriately to limit any damage to your workplace, harm to your employees or financial loss. 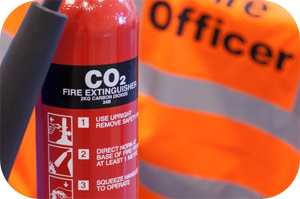 The Fire Warden training course we provide in Widnes is aimed at your supervisory staff, nominated emergency response personnel or simply anyone who needs an appreciation of the role of the Fire Marshal. The Fire Warden training course, also referred to as the ‘Fire Marshal’ training is designed to provide delegates with the knowledge and skills that will enable them to fulfil the role of a company Fire Marshal. In particular, to enable them to respond promptly and positively in the event of a suspected or actual fire, and facilitate the safe evacuation of the premises. For further guidance on Fire Safety in your workplace please visit the Health and Safety Executive (HSE) section on Fire Safety and the Law in the Workplace. Fire Warden Training Widnes – For more information on the Fire Warden Training Course offered by Training Solutions North West and how we can help you find the right training courses for your business please email us or alternatively, call us on 0151 515 4016 or 01978 359 441 and speak with one of our training Consultants. We ensure our training meets your mandatory and legal requirements to ensure the safety of your business, your employees and your reputation. Health and Safety training for all Business sectors across the North West including Liverpool, Manchester and North Wales.